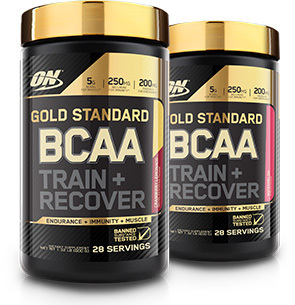 What's in Optimum Nutrition Gold Standard BCAA? Optimum Nutrition has been spotting the efforts of goal driven individuals since 1986. As one of the few companies to own and operate state-of-the-art manufacturing facilities that are GMP compliant and NSF Certified for Sport, ON assures that every shake will mix up effortlessly because the company started instantizing powdered products back in 2000. You also expect each shake to taste the same as the last and your next. That’s the kind of consistency ON delivers. Optimum Nutrition is legendary for both quality and innovation. In addition to producing the world’s best-selling whey protein, ON’s Gold Standard 100% Casein™ introduced slow-digesting nighttime protein to the weight training world and ESSENTIAL AMIN.O. ENERGY™ created the anytime energy category in sports nutrition. When technology makes advancements possible, ON will be the company bringing it to your shaker cup. TIP: MIX A COUPLE SCOOPS IN A LARGE WATER JUG TO SIP THROUGHOUT THE DAY. 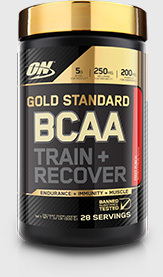 Who Uses Gold Standard BCAA?